All of the below information comes directly from job reviews written by Whitbread employees based on 83 reviews. Whitbread is the UK’s largest hotel, restaurant and coffee shop operator with 50,000+ employees who are passionate about making everyday experiences special for our millions of customers around the world. But it doesn’t stop there. With ambitious plans to grow, we are looking for even more people to join our team and help create the next chapter of our success. Our graduates are the potential future leaders of our business, and our largest intake occurs within our Premier Inn and Costa Operational Schemes. By the end of the year-long development programme, all graduates will have accountability for leading a team, and be in a management position within one of our sites/stores. 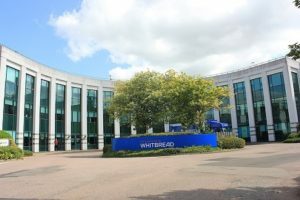 At our Whitbread Support Centre offices in Dunstable, our programmes run across HR, Finance, Marketing, Property, Procurement and our Information Systems (IS) functions. The different schemes are designed to help you test and develop your skills, build up a strong network of contacts and gain exposure in a range of areas across the business. If you’re up for the challenge and willing to drive your own development, the opportunities are endless. As a graduate at Whitbread, you can be sure to be making an impact from day one. After all, we offer real careers. Be honest, research our brands and values. Do your research and make sure this is a role you want, the business is 24/7, 365 days a year and you will be expected to work flexibly. Ask lots of questions and network where you can, ask other graduates in the program for advice and make yourself known. Whitbread value team work so work with each other in the interview and not against each other. The people at your assessment day are your future colleagues not your direct competition. Experience in the hospitality/retail/customer service industries are a big help. Practical skills can be taught over time, but mindset and being customer-focused are key. Be open and friendly! It's all about that pride, personality and passion. Be yourself and be confident about your strengths. Whitbread like candidates who have a genuine personality and know how they can make an impact to the company. Spend some time in each of the brands to understand the business. Each brand offers different aspects of the overall company and understanding that in the interview will show your passion for the company. Not only should your application be focused on the role/function you are applying for, you should also think about the company values and the specific brands you would be working for. Why, specifically, do you think you would be suited to this company? And why the brands? What makes you drawn to hospitality? Be yourself, and try to relax! Be prepared to answer why you chose Premier Inn and what makes you suitable to join the world of hospitality. Be prepared. Learn about the business and the challenges it faces now. Show that you are driven and a curious person throughout the whole process. Show that you are interested in the company and can represent its core values. Some understanding of the property work is beneficial although they are willing to train you in this field. Personality is also a large part of this company so it helps if you are confident and approachable. Try to sharpen up on some accounting knowledge, if possible (I did Economics at University so was pretty new to me too). Know the market and competitors. Be a more professional version of yourself, but still be yourself. Be yourself - Whitbread love genuine personality traits and being yourself and bringing your true and whole self to work is highly supported. Be ambitious and show care for customers and those around you. Have great examples to the questions that show your personality, drive and passions. Make sure you have visited some of Whitbread brands so you can talk about them and offer your insight. As with any job, research the company. I would advise looking at the latest financial release and news articles. Familiarise with innovations as it is a fast moving business. News articles and investor forums are great places to understand threats and opportunities. Another piece of advice would be to try and get some time with a current employee. Everyone will be willing to spend time with future candidates and it is the best way to really learn about the company and to see if it is a right fit for you. Be yourself. Chances are if you have got to this stage then the interviewers know you have the required skills. They looking for someone that will be a good fit for the company. Someone who is genuine, committed and confident. As for the application, research the company (Speaking to current employees is the best possible way so ask a contact if you can speak to someone in that particular department). Research Whitbread's values and think about how you identify with these. Make sure this shows in your examples. Go onto the CIPD website and use other resources to find out what is going on in HR at the moment. Try to speak to someone from any company about HR to find out what it looks like and identify what it is about the function that attracts you. Research the industry - what's hot at the moment? Go into each of Whitbread's brands before your assessment day to get a feel for the operations - try to think of some ideas to discuss. Be yourself rather than trying to be what you think Whitbread are looking for. Be honest within your application. Use examples from work and personal life when answering questions. Enjoy the Assessment Centre day! Demonstrate flexibility and people skill. At the interview, be yourself. Whitbread encourages you to be yourself throughout your career, so quirky is good. Understand that although the scheme is flexible, graduates must become a store manager to move into the next rotation. SWOT analysis of business, group task, 1:1 interview. Be yourself. Whitbread are looking for a certain personality, not experience. They believe they can teach the business side of things, they are looking for management qualities. Do your research into Whitbread. Create a SWOT analysis as this is often important in showing an understanding of the hospitality trade. Really think it through, are you willing to make the life style sacrifice for relatively little in return. Are you passionate enough. Speak to as many of the existing team as you can to get an insight. How do you manage difficult suppliers and tight deadlines. Do your research - there are 700+ Premier inn sites in the UK so there is no excuse for not calling in to one and asking the team what they love about working here. Think about what you really stand for; I've heard the recruitment team asking candidates about their 'personal brand' and what they want to be famous for. Check out the Whitbread PLC website to ensure you are as prepared as you can be. Check out the HUB our latest offering in Premier Inn, as we like to talk about this. The questions are competency based, so have plenty of examples on hand. Be yourself and ask lots of interesting questions. Be sure to have researched which professional qualification you want to do. When interviewing think about the role and relate your answers to how you would deal with customers and running teams. It's all about giving great experiences to our guests. Take longer than a few seconds to respond, there isn't a rush to give your answers. Think very carefully if this is the right career sector for you. There are easier sectors if you are not a self starter. Prepare, prepare and prepare again. Be absolutely clear on why you want to join the business. To demonstrate passion for the role you're applying for and to show why you would be the perfect fit to the team. - Be able to give examples of marketing campaigns you admire and explain why. - Don't be shy and try to differentiate yourself from the other applicants. To do that, just be yourself and be proud of what you've accomplished so far. Have a strong view on what our brands stand for and make sure you have watched the latest TV advert! I was asked which brands I like and why and had to give an in-depth view on how the public perception has changed about the budget hotel sector. Preparation is key, be really clear on why you want to work within a hotel. I was asked how I'd deal with difficult customers and how I'd deal with staff absence. Be crystal clear as to why you want a graduate career in HR and why you want to pursue a CIPD professional qualification. Try to think of examples that are from outside just your experiences at University. Ensure you are fully prepared for the interview and brush up on the latest Whitbread news. Be sure to have an opinion on the current issues that are facing the hospitality sector. Don't worry if you don't know the answer's to certain questions. As long as you've prepared for your interview, they're more interested in you as a person and what attributes you can bring rather than what you know, as they can teach you how to do the job. Prepare to be quizzed on why you REALLY want to be a hotel manager and why you want to lead a big team. Think about all the great things we've got happening between now and 2020 - The Hub, growth, International etc. Do your research, show real passion for wanting to work for Whitbread and be clear on what you want in the next 3-4 years of your career. Relax and let your personality come through, be nosy - ask lots of questions to the interviewers. 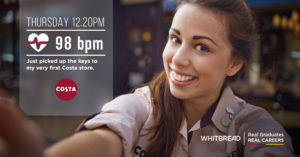 Ensure that you show the recruiter why you want to work for Whitbread specifically. Recruiters will be looking for personality, passion and flair. This is an opportunity for you to sell yourself to the organisation. Ensure that you deliver your message in a fluent manner, drawing on a number of examples taken from both your work and personal life. Make sure that you show your personality. The business bases the recruitment process on an individuals ability to be curious and passionate. 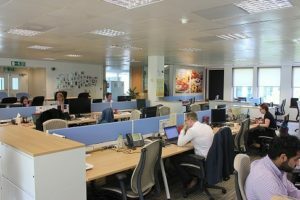 You must really want to work in a very competitive workplace as well as that you must be driven as the company's culture is very much driven by people everywhere. Be yourself, show them your personality as they would observe your behaviour more than your answers. Make sure that shifts are what you can envisage for your future and you are a bubbly character who can work fast paced. Be genuine, honest and confident. We hire on behaviour and attitude not knowledge and skill. Let your personality show - Whitbread is all about investing in the right cultural fit and unlocking potential! Let your true personality show. Be engaging. Speak to assessors during the breaks if at assessment centres! Be yourself, don't over-complicate things, do plenty of research on the company beforehand such as company goals/aims etc. -Plenty of 'give an example of a time you worked in a team' and worked independently questions etc. -What do you know about Whitbread? Experience isn't always the best route - try to answer as honestly as possible. Be yourself! Whitbread hires people based on personality and natural talent. Be yourself, don't try and say things you think the company want to hear. Be prepared to give examples and adapt on your experiences during the 1-2-1 interview. Be confident, Whitbread do not always employ the most educated or the most experienced, but they employee people which are bubbly confident and can influence a team and guests. Be ready to work in a fast paced environment and be very adaptable to change (for the good). Have a lot of drive and be confident. If you work well in a team this is a great job for you. Be yourself, prepare and just be ready to ask questions and stand out. Be passionate about wanting to work within a hotel and lead your own team. Make sure you do your research and are clued up on the latest Whitbread news - not just the brand area you are applying for. Do your research on Whitbread! Make sure you have thoroughly researched the hospitality industry and are aware of what we and our competitors are doing in a marketing environment. Be aware of our brand values and what we stand for as a brand. Try to bring fresh and creative ideas to the interview. Research Whitbread's values and see if they align with your own. Research the companies Whitbread owns and visit them if possible to get an understanding of what we do as a business. Be creative when answering competency questions - Whitbread looks for fantastic individuals, not clones with a set specification. All experiences are valuable - try to use some which are unique to you. Find out about other companies HR graduate schemes to see how Whitbread compares as a company and how the scheme compares. You have to suit Whitbread but it is equally important that Whitbread suits you. Culture fit is extremely important at Whitbread so be yourself and let your personality show throughout your interviews and assessment days. Often, candidates have been hired for different roles (other than that they're applying for) from the assessment day - be honest about your interests, capabilities and career aspirations. You might find something you didn't know you were looking for. Be really clear on specifically why you want to work for Whitbread, specifically why HR and specifically why a graduate scheme. The most important thing is not what you have done, but the person you are. Show that you are driven, that you have natural leadership capabilities, that you genuinely care about people, and have a positive attitude. Find that balance between sharing your opinion and forcing your opinion. Being a leader is not about being right all the time, it's about recognising the best option when it comes up in the discussion. Be honest and be yourself, they rate personality highly. Be honest. Outline your relevant experience but you will also need to demonstrate that you are passionate about our brands. Make sure your application is tailored to the specific role/brand(s) you are applying for and don't be afraid to let your personality shine through! Prepare for the usual questions, such as 'Why this company? ', 'Why this industry?' - you will need to have strong answers to these questions to stand out. Prepare examples to demonstrate the ways in which you have exemplified key competencies and company values. Don't worry if the interviewer keeps digging and questioning, they are just trying to find out as much as they can, don't let this put you off - be confident and speak clearly. Be honest. Research the role as hospitality is different from other industries. Be prepared to work hard, long hours and various shifts to meet the business needs. Be confident that you are serious about your career. It must be a priority to you over most other parts of your life. This will be a challenging experience that will give you a wealth of knowledge and management confidence, at the cost of your work-life balance. Be focused on the end result, not the day-to-day, and you'll be well placed here. These interviews are not performed as you would expect. Whitbread really do aim to keep it personal and comfortable so it will feel more like a normal conversation. Try to be as calm as possible before your interview and let it become relaxed during (this will be the aim of the interviewer too) so your nerves don't cause you to say/do anything that doesnt reflect you. be as willing and open as possible to new roles and locations. You will be expected to travel a LOT! Prepare for the assessment day as much as possible, A lot of varied activities but don't try too hard, those who did didn't get through. Really be yourself, it is the only way to know if you are right for the company and if they are right for you. They are looking for leadership behaviours. Competency questions with a twist. Make sure you have examples to back up your points. Think a little outside the box to prove you are right for the role. Be yourself. Sounds simple but it's true. Don't be afraid to role up you sleeves and get stuck into the tasks at hand. This will stand to you and you will gain the respect of your team and also develop your leadership skills by leading from the front. Be prepared, know what you're talking about without sounding robotic. Show your personality and your genuine interest in the role. Ensure you really want it and read lots into it beforehand. Very informal, chilled and laid back - don't worry about it. Walk into it with an open mind. It is a very people orientated business; besides selling beds we sell a great service so being comfortable around people and outgoing is definitely a requirement. Be yourself display your true personality, Engage the assessors and ask them questions about the business. Explain your journey to applying for the role i.e. where you are from and what you have been doing with your time over the last few years (no life stories). You do not have to have experience as what you need to know and the tools required are given to you on the operations graduate programme. What you do need to have is passion for your work. This job is a great experience and you get as much as you put in, and is rewarding at every step! Interact. This is not a moment to hold back and be the quiet one. Make the conversation, ask questions, have a laugh but be professional. That it is an amazing role and opportunity, not even for a full career in Whitbread/Hospitality but even to massively buff out your CV! Always be analysing future areas for the company...where could we build next? What are our weaknesses? Can we turn them into strengths? What makes us different to other hotels? Be prepared to be very flexible in your hours and don't waste the interviewers time stating you are flexible but are unprepared to work on call, i.e. several weekends at a time. Understand the variance of what the interviewer expects from a leader and a team member. Be yourself. Premier Inn are very much about personality and drive over experience and qualifications obviously these help, but a great personality will always shine over a great cv. Where do you want to be in 5 years time. Be honest - you don't have to say to stay with the company if you don't genuinely want to, a clear vision for your future is more what is being looked for. Be honest and true to yourself. Show confidence and passion! Be honest and be yourself, you want to appear to be the person you are. Get to know the company before applying, its always good to know about Premier Inn before joining the company. Get some background knowledge on the company and how Premier Inn's work! be prepared to work all times of day, any day and be on call. you need to 100% customer focused and put them first, always. Be yourself - it's not about the experiences and knowledge you have it's about your personality. They can teach you all the knowledge you need. Know your own personal strengths and areas for development with examples. Whitbread hire for your personality and ambition, not necessarily work experience. Think about opportunities you have had outside of work and how you have proven yourself. Lots of group activities, presentations (group and 1on1), interviews with awkward questions. Get social and talking to everyone else about their experiences. I relaxed and enjoyed a lot more than I thought. Be yourself, they're looking for personality not skills or experience, they can teach you that. Make sure it's for you, be happy working long weeks but the rewards are ultimately worth the workload. try to let your personaility shine through on all aspects of your application. Be yourself. Premier Inn hire specifacly on personality and guest focus not on skills. They believe all skills can be learnt but your personality, guest focus and service can't. Don't rush it, it is a lengthy application and does require thought - also keep a copy, there is a wait between the application and interview - it's a good idea to have something to refresh your memory. Be yourself - being genuine and approachable are the main attributes that are looked for - especially so as the role is not only customer focused but as you start managing a team, you need to be viewed as human. The culture of the company is a great because no matter what someone's position is, they will be willing to spend time with you and help you and learn more about you. When you join they company will offer you lots of support from various levels and teams which gives you great exposure to start your network. When you are in a field-based role, you may feel isolated from the rest of the company. Equally, departments can be quite isolated from each other but there is no reason for you not to challenge that and create a broader network for yourself. Great environment to work in, free coffee at our own Costa store, good benefits, great people. 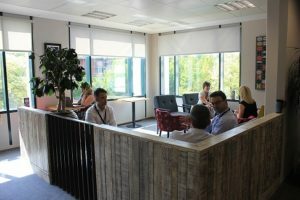 Location of the office is sometimes a draw-back as it's difficult to get here by public transport therefore socialising after work doesn't often happen. - Good benefits package and support to become qualified in your field- they want to see you progress. -With a strong growth plan it is an exciting company to be part of as we continue to expand and offer new opportunities. - You have to be very independent in a field-based role and control your own diary and time management. -Due to the geographical spread of the team, you may go weeks without seeing members of the team/colleagues. The culture and the people are really what makes the company so special. The company also does a lot of amazing work for the local and wider environment, especially through the COSTA Foundation and the partnership with GOSH. Some uncertainty over what happens after the graduate scheme. Good reputation, looks good on CV. Quite old fashioned and hierarchical.